Fine Gael TD for Kildare South, Martin Heydon, has welcomed the announcement by EirGrid this morning (Friday) of a new option for Grid Link. 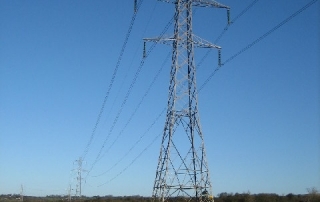 Fine Gael Kildare South TD, Martin Heydon, has informed local landowners that reviews are ongoing on the controversial Gridlink project proposed by Eirgrid. He was speaking at a meeting in Narraghmore this week organised by the Gridlink Action Group. To ask the Minister for Communications, Energy and Natural Resources the position regarding the review of the green paper on energy policy; the consultation process of same; and if he will make a statement on the matter. To ask the Minister for Communications, Energy and Natural Resources the position regarding the work of the expert group reviewing the Gridlink project; and if he will make a statement on the matter. Fine Gael TD for Kildare South Martin Heydon has today (Monday) welcomed confirmation from Minister for Communications, Energy and Natural Resources Pat Rabbitte that he is commencing a review of National Energy Policy with the publication today of a Green Paper on National Energy Policy which will be available for Public Consultation. Fine Gael TD for Kildare South Martin Heydon, has today (Wednesday) welcomed the publication by the Independent Expert Panel reviewing the Gridlink project of their Terms of Reference.